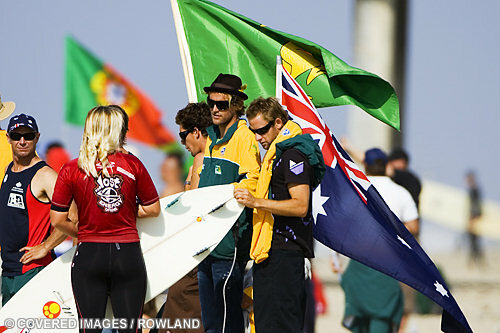 The ISA World Surfing Games, one of the most important surf competitions, are less than one month away. The host Portuguese beaches are already feeling the great spectacle that is soon to be: the ISA World Surfing Games that will happen from October 11-19 in the beautiful waves of Costa de Caparica. After last week’s mass number of events, this week was very quiet with just two men’s ASP WQS and the Boost Mobile Pro, and ASP World Tour event, in Trestles won by Kelly Slater. 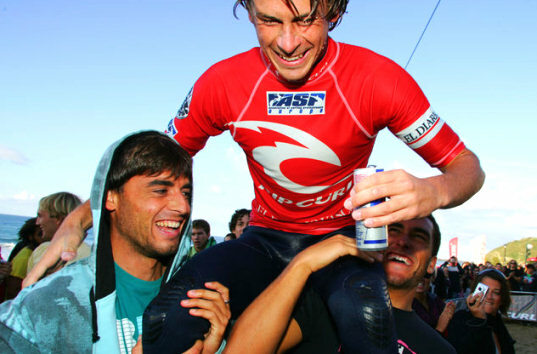 Tim Boal (Anglet, FRA), 25, won the Association of Surfing Professionals (ASP) World Qualifying Series (WQS) 5-Star Rip Curl Pro Zarautz today, claiming valuable 2000 ratings’ points after defeating Joan Duru (Hossegor, FRA), 19, in clean two to three foot (0.5 to 1 meter) waves in an unprecedent 100% French final. A powerhouse young surfer from Australia has fired the first shot in a winner-take-all global battle for the US$50,000 Kustom Air Strike bounty. 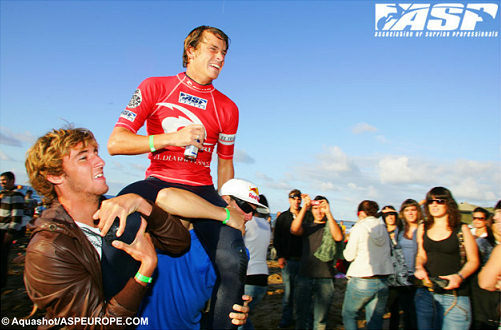 Kelly Slater (USA) beat Taj Burrow (AUS) 18.97 to 18.63 to win his third Boost Mobile Pro title at Lower Trestles today. He is now as close as one event away from winning a record ninth ASP World Title.